To save myself some unnecessary frustration, I did something that I do not normally do: booked a few local medical appointments here in Rhode Island. Don’t get me wrong: In my graduate studies I met many nurses and healthcare folks who work in our small state and do a darn good job making patients well. But, having begun my care in Boston at a young age, I historically stuck with the endearingly-nicknamed “Mecca of Healthcare” for my treatment. An hour commute is a small price to pay for the best healthcare on earth. I grew up in the Joslin waiting room, watching families fly in from all over the world to seek help for their kids. 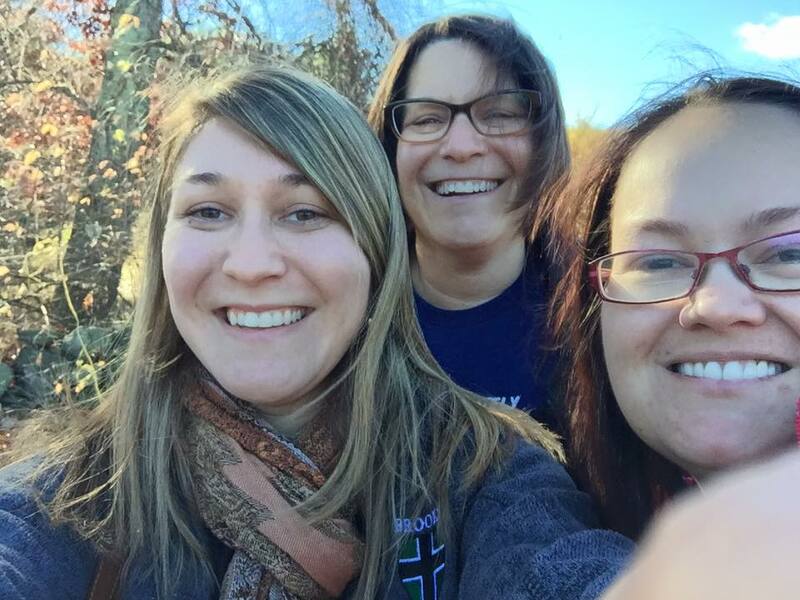 I accompanied my #MedX bestie, Danielle Edges, and her brave daughter, Alex, when they traveled to Boston Children’s Hospital from Phoenix, AZ, earlier this year. Trust me: Boston has it going on, and I am always cognizant of how blessed I am to live relatively close to these topnotch facilities. The problem, though, is that my trips have not been an hour commute for as long as I can remember lately. Between traffic coming from and going to Boston, as well as time with the provider, I am usually gone for 6 to 8 hours per appointment. The bags underneath my eyes were growing larger by the day, and my attitude was strained. I needed a break. So, I made a pact with myself: For reasons of self-care, I would book some “non-essential” appointments back home in Lil Rhody. While every medical appointment is certainly important, the urgency is not necessarily there for this local stuff, versus the “essential” diabetes tune-ups that I receive in Boston. One hot afternoon in July, I gulped down my coffee and headed inside a RI dermatologist’s office. I have experienced itchy-then-painful blisters on my hands since childhood, and no doctor has ever been able to crack the code. If the best providers in Boston specializing in autoimmune disorders don’t know, how will anyone else? I naively wondered. But, with the commute being a mere 15 minutes, it was worth a shot. I arrived early to fill out new patient paperwork as instructed. Parking had been easy- no expensive, overfilled parking garages. The receptionist and intake nurse were both friendly. And finally, it was time to see the doctor. She was kind and concise. “Yes. It’s healing,” I replied, extending my hand for further inspection. “Oh, I know exactly what this is. It’s dyshidrotic eczema- common in diabetics. I’m actually shocked that you went through decades of your life with no diagnosis for this; how awful! I’ll prescribe you some hydrocortisone creams which should help,” RI Doctor advised. +1 for the local expert! I am a little miffed that Boston dropped the ball on this for so long, considering I looked like a burn victim who couldn’t hold a pencil in third grade due to the severity of the blisters. However, I am SO grateful to finally have an answer and effective treatment options! “Just so you know, I’m wearing a…” I began. “A thong?” RI Doctor replied. We’ve seen it all, honey, the observing nurse thought. “Oh! Good thing you warned me!” RI Doctor exclaimed, having located the sensor where the sun doesn’t often shine. As odd as it was to have a conversation while naked in a room among new acquaintances, the professionalism and thoroughness of the doctor made the experience more bearable. I felt at ease knowing that the eczema- which has for years induced a stress response in my body, and, therefore, my BGs- would finally be tamed, and that the funky mole on my ribs was nothing dangerous. “When were you diagnosed with type 1?” RI Doctor asked. And then I thought again about the little boy whose name I still do not know, who passed away from complications of T1D diagnosed too late, just a few days before my arrival in the same ER. “Wow. That must have been so hard,” RI Doctor wondered aloud. “That must have been so hard. It is so hard,” she pushed. And there it was: the truth, exposed. Diabetes is hard. But we’re still fighting. Sometimes localized empathy makes all the difference. 1. Download the mySugr app. 2. Log blood sugars, insulin injections, carbs, and more in mySugr. 3. If your insulin pen does not have one of those fancy calculators indicating when you last took insulin, create your own system to minimize the risk of double-dosing, or forgetting to dose. 4. For example, in the photo shown below, mySugr would have indicated that I already took 3 boluses of fast-acting Humalog today. For my fourth shot of Humalog, I move the green hair tie up to the #4 drawn in marker on the insulin pen. Later, when I take my fifth injection, I will move the band up to #5 on the pen. And so on. **Handwriting was never my strong point. Sorry, Catholic grammar school nuns! Disclaimer: This is my own experience; consult with a medical professional before making changes to your diabetes management. “What’s that blue circle on your Facebook picture?” is always a loaded question. Firstly, as the international symbol of diabetes, the blue circle is like the communal social media head nod which symbolizes, “I get it,” to others like us who encounter the image. Not everyone chooses to flash the blue circle, and that is okay, too. We all cope with this disease in our own ways. Secondly, let’s be honest. The blue circle magnifies the attractiveness of any picture. It’s an unwritten rule. Blue circle = automatically cool. When speaking to someone not intimately familiar with diabetes, I want that person to know that diabetes is not anyone’s fault. If you want to blame something, point the finger at rebellious islet cells, environmental factors, viral triggers, genetics, and the perfect storm of other elements. But please, do not blame the human being. Society preaches the message that diabetes is a disease brought on by poor choices. “You ate too much sugar, so you are to blame for your type 2 diabetes. Just lose weight and you’ll be fine.” Phrases like these are tossed around daily in the movies, in comic strips, and in casual conversation. Yet the reality is that if any type of diabetes were so simple to acquire, the whole world would be diabetic. Type 1 diabetes, an autoimmune disease, does not discriminate according to who collected the most Swedish Fish from the birthday party piñatas as a kid. Instead, it strikes us innocently and without fair warning. We have lost children with their whole lives ahead of them this year because our healthcare system failed to identify the warning signs of diabetes in time. Extreme thirst, blurry vision, weight loss, frequent urination, and other symptoms should ring a “diabetes bell” in your mind after reading this. When in doubt, we implore you to play it safe and see a doctor immediately. There are other types of diabetes, too: gestational diabetes during pregnancy, cystic fibrosis-related diabetes (CFRD), latent autoimmune diabetes of adults (LADA), maturity onset diabetes of the young (MODY), and other offshoots of the disease process. Allow me to play devil’s advocate for a moment. Although no one singlehandedly causes any form of diabetes, let us pretend that the overly-simplified media theories are correct: Ally eats a cupcake, so Ally deservedly acquires diabetes. I “deserve” to take ten shots a day for the rest of my life. I “deserve” to wake up at 4:23 am with a blood sugar of 52 mg/dL, half the normal value, fighting to live- if I am even lucky enough to wake up before it is too late. Now, substitute someone you love in place of our fictional Ally character. What if Ally was your sister, your father, your favorite high school Math teacher, your best friend? Can you accept the status quo of a world in which someone you love has to go through all of that to survive each day? Could you handle the emotional burden? Wouldn’t you get upset, too, when the severity of the battle was diminished by a corny joke on a TV show? Isn’t the pain still there no matter what caused the disease? Aren’t these people still important to their loved ones? When we rationalize away the seriousness of this condition by poking fun of Wilford Brimley commercials, what we are really saying is that this is too much for our society to handle. If we laugh it away, we mistakenly presume that diabetes will not touch our lives at some point. Statistically and scientifically-speaking, that is a losing bet to make. We must, instead, be brave and face the truth that defines this disease: Diabetes is no one’s fault, it is a profoundly-complex condition which is difficult to tame, and we owe it to ourselves and to future generations to lessen its toll by advancing technology and research. The blue circle represents any of us and all of us. We have endured thousands of needles in our lifetimes. Diabetes changes its mind every day. Given the same scenario, what works on a Monday may not work on a Tuesday. Insulin sustains life, but each dose is an educated guesstimate. One miscalculation can be deadly. We do not tell you these details because we want you to have a pity party for us. We can do anything. One of us, Sonia Sotomayor, sits on the Supreme Court of the United States. Others have run marathons, graduated from medical school, or written books. We have an enduring human spirit which rises to the occasion of fighting this disease every morning. This November 14, when you see a blue circle on World Diabetes Day, do not simply scroll right by it. Pause and look at the faces behind the superimposed shapes. 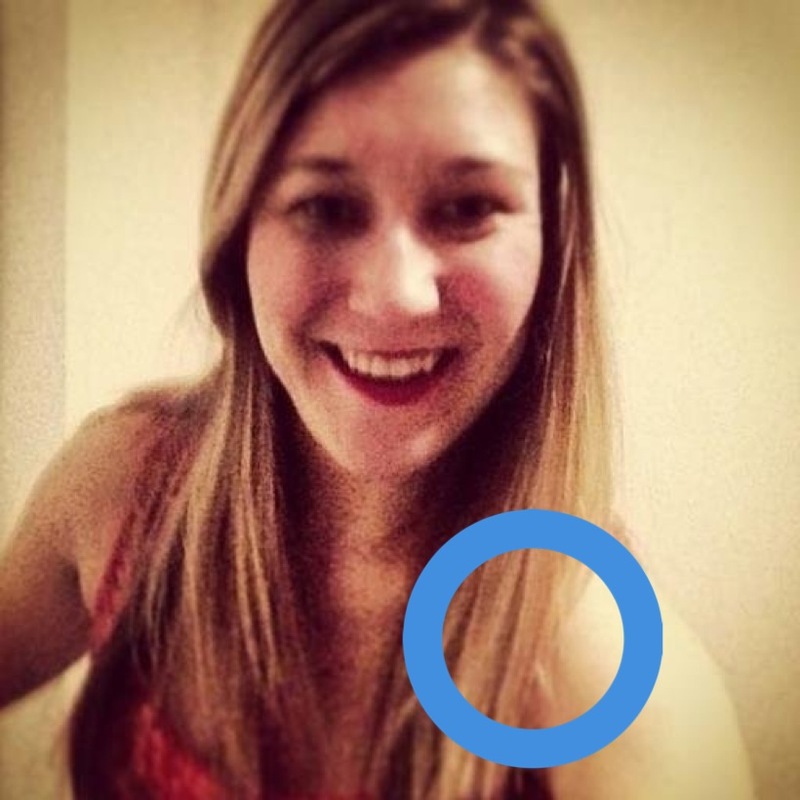 Recognize the human being who is affected by diabetes, who is more than a blue circle can ever truly describe. Marvel at his or her resilience. Perhaps donate your weekly coffee fund money towards a diabetes cure effort. Walk with us. Pray for us. And the next time you hear, “What’s that blue circle all about?,” respond with a story about one of the strongest people you know- someone you love who lives with diabetes.